About Leleka – LELEKA Maternity Hospital It is a modern healthcare facility that provides a world-class high-quality specialized obstetrical, gynecological and neonatal services. You will agree that giving birth to a baby is something more than just a day spending in the hospital. These are emotions because people come to a maternity hospital in expectation of happiness. In order that nothing will destroy your happiness, you need guarantees, safety, and enhanced health care. One of our main demands to ourselves and our main goals is to provide the highest quality care and a high level of service. LELEKA Maternity Hospital pays special attention to pregnant women who have the factors that can make their pregnancy high-risk, as well as to pregnant women who already have higher obstetric and neonatal risks. LELEKA Maternity Hospital provides world-class medical care for women with various pregnancy complications, including disorders. Powerful medicine, experienced professionals, safety and health insurance are the components that give the opportunity to provide quality and timely care for high-risk pregnant women. Detailed study of risk factors – is a routine stage of prenatal diagnosis. However, high-risk pregnant women require careful monitoring from a gynecologist and referral to a specialist of a specialized healthcare facility. - Advanced maternal age. Pregnancy risks are higher for mothers age 35 and older. - Lifestyle choices. Smoking cigarettes, drinking alcohol and using illegal drugs are additional risk factors. - Medical history. A prior C-section, low birth weight baby or preterm birth — birth before 37 weeks of pregnancy — might increase the risk in subsequent pregnancies. Other risk factors include a family history of genetic conditions, a history of pregnancy loss or the death of a baby shortly after birth. - Underlying conditions. Chronic conditions — such as diabetes, high blood pressure and epilepsy — increase pregnancy risks. A blood condition, such as anemia, an infection or an underlying mental health condition also can increase pregnancy risks. - Pregnancy complications. Various complications that develop during pregnancy pose risks, such as problems with the uterus, cervix or placenta. Other concerns might include too much amniotic fluid (polyhydramnios) or low amniotic fluid (oligohydramnios), Rh (rhesus) sensitization — a potentially serious condition that might occur when your blood group is Rh negative and your baby's blood group is Rh positive. - Multiple pregnancy. Pregnancy risks are higher for women carrying twins or higher order multiples. - Cardiovascular and kidney diseases (arterial hypertension, acute pyelonephritis and cystitis, preeclampsia and other diseases. - Metabolic disorders (gestational diabetes, thyroid disorders). - Burdened obstetric anamnesis (multiple pregnancy, cesarean section, pregnancy loss, previous preterm birth, abnormal position of the fetus, etc.). The hospital staff includes leading experts in obstetrics and gynecology, fetal surgery and neonatology. 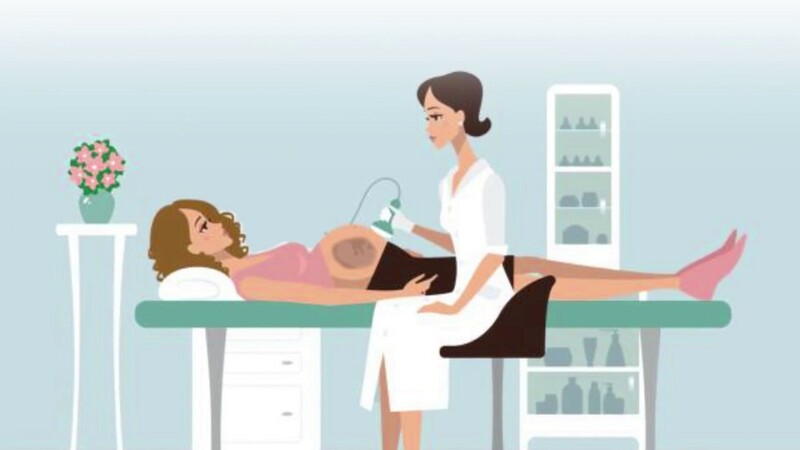 Constant participation of specialists is important not only in providing medical care for pregnant women, but also in taking part in science activities (scientific publications, conferences, basic researches and teaching), using advanced technologies and the latest world treatment protocols for high-risk pregnant women. Use of advanced techniques in providing prenatal care for complicated pregnancies, and especially high-risk pregnancies, to assess the risk of genetic abnormalities in the fetus, such as amniocentesis (amniotic fluid profile), cordocentesis, chorionic villus sampling (placenta), PrenaTest, 3-D echography with video recording and others. First in Ukraine, a surgeon of the highest category performed a successful life-saving fetal surgery - fetoscopy (intrauterine manipulation, which is carried out under accurate control of ultrasound probe and endoscope to examine the fetus for diagnosis and treatment of detected disorders). Use of SENSE4BABY device is one of the innovative approaches aimed at helping to provide care for high-risk pregnancies. SENSE4BABY is a wireless fetal/maternal monitoring system used for high-risk pregnancies. Currently, high-risk pregnant women have to often visit antenatal clinics in order to assess and monitor fetal well-being. And this wearable device is constantly with a pregnant woman, so we can be sure of the health of the mother and the fetus and at the same time reduce the number of medical interventions and perform our job well. Provision of specialized highly competent obstetric-gynecologic and neonatal care for families with the implemented health insurance system. First in Ukraine, LELEKA Maternity Hospital has implemented health insurance, which covers maternity care for pregnant women who receive prenatal care at our Maternity Welfare Center and childbirth for those who decided to give birth at LELEKA Maternity Hospital. All delivery rooms are equipped with modern Sonicaid fetal monitors that allow assessment of fetal well-being both during pregnancy, and just before and during labour, simultaneous registration of uterine contractions, fetal heart rate and fetal motor activity (actogram). First in Ukraine, at LELEKA Maternity Hospital, the remote fetal monitors are integrated into the central monitoring system, which makes it possible for a midwife to remotely monitor fetal well-being, stage of labour and respond in a timely manner to any changes, even if she does not stand near the pregnant woman. Automated systems for monitoring blood circulation, pressure and blood condition of a newborn are used in the Department of Neonatology and Neonatal Intensive Care. This method is used in neonatology for early detection and diagnosis of developmental disorders of the baby's central nervous system. A 24-hour cerebral function monitoring is used for preterm infants, who have undergone hypoxia or who have signs of deviation in development of the central nervous system. © Private maternity hospital "LELEKA"